Most of us, (me included), at some point in our lives have gone through a financial rut that pushes us to rely on our friends, family and even loan companies to help get us by through a loan. I used to see nothing wrong with that, I figured, since doing so saved me from money troubles & as long as they get paid - I'm set. Oh, how wrong I was! BC (Before Choi!) - I was a carefree, single career woman earning more than what I needed. Needless to say, instead of saving for the future, I burned each paycheck, swiped all of my 3 cards left and right until I was chest-deep in debt. You see, I thought those shiny plastics were magic cards and each time I paid with cash - "reward yourself" was my mantra. Apparently, I rewarded myself too much. It is said that "There is always enough for our needs and never enough for greed..." well, my greed was insatiable,the more pair of shoes I bought or a new bag I purchased, the more inclined I was to borrow. If there's one thing unplanned pregnancies don't prepare you for - it's the money needed to pay for everything. I was 5 months pregnant with Choi when a huge fire razed our house and took down everything, as in everything we owned. Needless to say, expenses piled up on top of one another and we had to pool whatever money we had, accept donations and again, borrow from our relatives so we can get back to our feet. So going back to being pregnant, Choi's Dad and I weren't in good terms at this point, so I had to shoulder the burden of it all since my pride won't allow me to accept whatever help he tried to extend. The result, I had to ask for a huge loan from a family member which I haven't even finished paying yet. 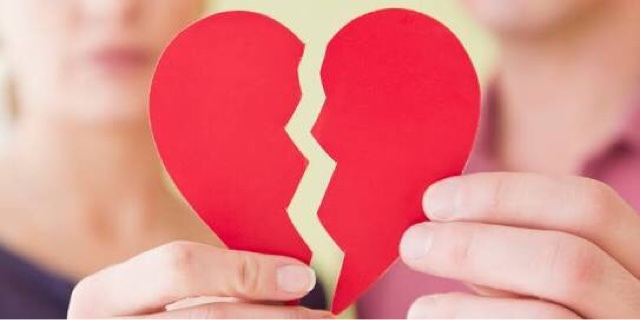 You see - the situation made me realize that bad debts not only ruin your finances but also destroy good relationships. At the 4th session of Sun Life Financial Literacy Talk facilitated by finance guru Coach Aya Laraya, a simple yet in-depth look at debt revealed the crucial difference between a good debt and a bad debt. Though both are classified as use of money you don't really own. Knowing the difference between these two types of debt holds the key to financial freedom. Let me explain why. Good debt - this is the money you borrow that will be used for a purpose beneficial to you. This normally results to long term gain. Taking out a loan to purchase your dream house or a business loan that guarantees a profitable return are the best examples of good debt. Listing your business to sell for public ownership is also an alternative. This ensures that you will grow more than your competitors. A perfect example would be the Top 5 wealthiest families in the country - Ayala, Sy, Gokongwei, Andrew Tan and Lucio Tan. They grew their businesses intelligently and now is the best time to invest in their stocks. 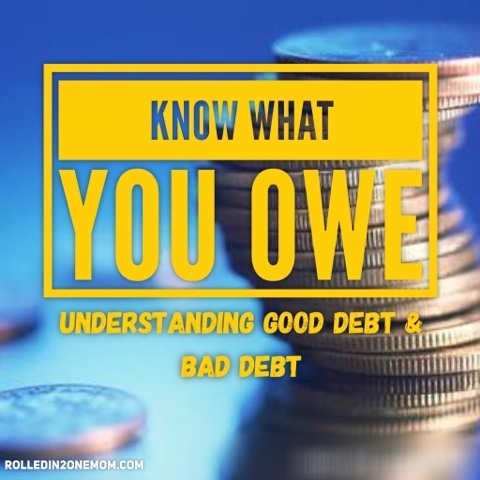 Bad Debt - as with all the opposites in the world, if good debts help you, the bad ones will find you trapped in deep financial troubles if you don't take the time to know what they are. 1. Consumer Goods - since the holiday season is almost here - we should all be well aware that the "great deals" you will see such as buy-now, pay later schemes on gadgets, appliances, home credits are not so great deals after all. Not only do they put exorbitant amounts of "interest" on the price if you will take the time to compute but also, their value decreases over time. Credits cards can be useful to track your expenses but it will take discipline to be able to do that. For me, these "magic cards" make you spend money you don't have in your hands yet. The best thing to do with your cards is to set a ceiling on how much you will charge on it as what Coach Aya did for his spouse. 2. 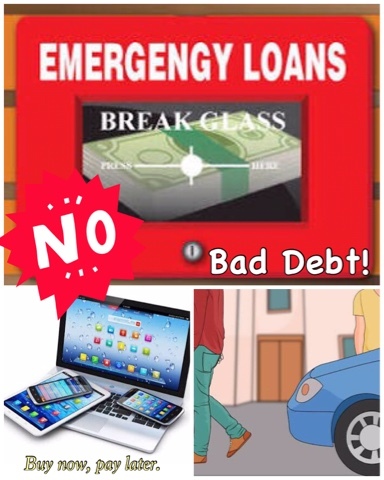 Emergency Loans - alright, emergencies are unforeseen events but ideally, a Pinoy who's earning a living must at least be sufficiently prepared, money-wise for events you don't expect to happen. You might be able to get past the financial obligation at the hospital and the likes but the burden remains when it's time for you to pay back the money you owe. I have experienced this too when my Dad underwent the procedure of angioplasty last April of this year. We had to take a loan so we can pay for the hospital bill that amounted to millions. The best thing to do, while you still can, is to invest in a sound financial insurance company. See Sun Life. 3. Business Loans (If they don't work out) - do not, I repeat, do not borrow money for the purpose of buying a house or a condo you plan to rent out to other people. The rent will just cover your monthly amortization but it will not pay for the upkeep of the home. Not knowing the way a certain person or family that will rent the home lives poses a risk also. Another bad form of business loan is buying a car that you will use for business. Again, the profit may cover the monthly car payments but does not include insurance payments, gasoline and maintenance expenses. So instead of renting out the house and the car - live in it, use the car! You will be more inclined to take care of them and pay them on time because you will end up owning it. You can't go wrong with researching first before borrowing money too. It's been years since I found myself buried in piles of debt that losing my mind was the only option I had left. I have paid some in full and some up to now are still being paid or some I pray would just magically disappear. Lol! One thing that we all need to understand and made me find out the hard way - debt is a debt. It is money worked hard for by others that we need to pay back no matter how long it takes. Yes, valuable lessons came after. My bad debts pushed me to work harder, live smarter and to vow to teach my kids the value of money even before they get to have their own. Nowadays, you should think long and hard before borrowing money - think of what you and your family will gain. At least, it is never too late to get yourself out of the predicament. 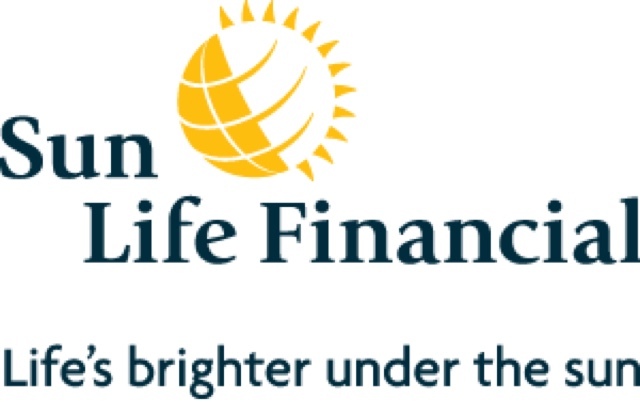 There are institutions like Sun Life Financial that will allow you to start over. Back in the day, investing would cost one an arm and a leg but nowadays, sacrificing your overpriced coffee would mean that you and your family will be all set for the future. They have Financial Advisors that would openly discuss your finances with you as opposed to the "money is a taboo topic" mentality years ago. You should've started yesterday! Start living a brighter life with SUN LIFE. I agree it is never to early to start preparing for our future. Being financially secured is also one of my goals. It is good to know there are companies like Sunlife that helps individuals prepare for their future. I agree with Juvyann, it is really better to prepare for our future as early as possible. I do hope companies will give financial seminars too sa mga new employee lalo na sa fresh graduate pa lang so they will learn how to save their salary. I love seminars/workshops/talks such as these. Plus, it's spearheaded by Sir Aya! Been following his youtube videos since then. I'm somehow guilty with the buy now, pay later deals. I know it's bad debt, but I consider it a good one if it's used or is something for our household like for example, a washing machine. Haha! If there's one thing unplanned pregnancies don't prepare you for - it's the money needed to pay for everything - I can certainly agree to this! When I was pregnant, we kept on saving and we thought it was enough - it wasn't! When they said sobrang gastos magkababy, sobra sobra pala talaga! My friend told me to get a card that's like with a limit or something but still acts like a credit card. Para daw magkaroon din ng magandang rating for future house loans, etc. I still have yet to apply to one. I don't have a credit card and right now, to get one is not a necessity for me. There's a quote I have been telling myself from now and them, forgot who it's from though, but it goes like "Never borrow from the future." And Yes, I survived. I can relate with spending almost the entire salary just because I was single then and no responsibilities to think of it. Now that I have already my own child, my mindset has changed too. As much as possible, no debts. If I want something but couldn't afford, then NO. I have learned to set aside finances for the needs and just say No to wants, unless of course there's an extra budget. And as much as possible too, don't get tempted with credit card offers. I wanna join one of those Sunlife workshops and discussions. Hay naku. Bad debt are really bad. Ang hirap! Having bunny E and I became more conscious about our expenses up to the point that he kids with me for being kuripot. I think it is beneficial to be kuripot although we do spend every now and then to reward ourselves. 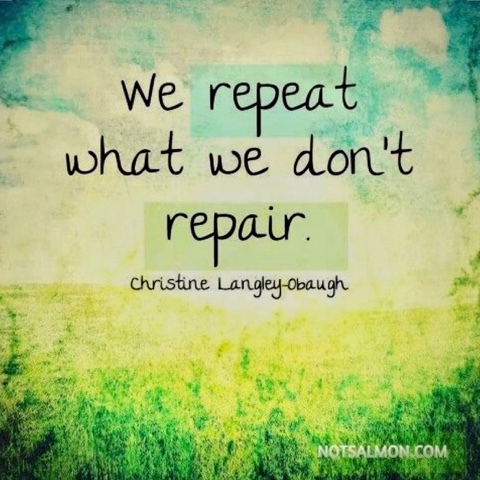 I have a mantra that i've been using ever since i started working. "If I can't buy it with cash, it's not for me." Always worked for me and i have somehow passed it on to my husband. We live without credit cards. Instead, we save. We have funds for emergencies, savings. Soon, bahay sana. It's very important to me that my own family is debt-free kasi my family (when i was single) got in deep debt after college because of mismanagement. I don't want histpry to repeat itself. :( hopefully we could get sunlife insurance, at least, for our son. I'm not a person who likes to buy things or go shopping talaga kahit before pa. Kahit payday noon I only buy things talaga na sobrang need.Ang kalaban ko lang talaga is yung pagiging mahilig ko sa food. Right now we are paying our insurance para sa future namin. Would love to attend workshop from sun life kapag meron. That's the one thing i wasn't able to do when I'm still single. I wasn't able to save up for the future like invest on something that I can use for my future family. Now that I have my own family, I learned to value money more and make myself debt free always. It is really important to save for the future. Ive been trapped into a credit card debt 3years ago and thank God i was able to pay it and now wisely spending on important things than "luho".. and having investments taught me how to be smarter with my finances..
Wow. That's very enlightening. Sometimes unfortunate things happen and the lesson we actually apply for that is to save up and at least be ready for it, whatever it may. No 3. Ouch! We had this townhouse loaned from PAGIBIG and have it rented because we are not ready to move in pa. I do hope everything will be ok soon. Ang hirap kasi ng lage kang may iniisip na utang. I am thankful like you momma for Sunlife for hosting this kind of workshop for us. I agree, its never too late, we can do it! Cheers to financial freedom! I agree! ang pera mahirap hanapin pero mabilis lang mawala. Savings is very important specially when you have plan for your future saving is no. solution. But you can save your own pag wala ka nang utang. So dapat uunahin lagi ang utang na bayaran. Oh no I'm glad you were able to recover from that tragedy! About spending naman, I'm the opposite. I used to be sooo thrifty BY (Before Yuri lol). I was earning minimum wage but I was able to save. Now I'm spending more than ever - to be fair, most of what I spend on are bills and groceries. It's even harder to save now! We don't have credit cards for 5 years now, we closed everything. It's better to pay in cash to avoid unnecessary purchases. Great tips! When I was still single, I used my credit card almost every payday. Kaya break even lang pag may sahod. When I met hubby, dun ako natutong gumamit ng cash every transaction. Iba pala talaga ang feeling pag buo ang naiuuwi mong sahod hehehe. having kids changes everything especially on how you handle your finances. now, i make it a point that i set aside money for deus' on top of our family's savings. Ang sarap naman kasi tlaagang mag shopping. Kaso un nga, we sometimes use the excuse "reward ourself" and before we know it, weve already rewarded ourselves too much and now we are indebted. One tip my mom would always tell me and as much as possible I try to live by is to live within your means. I know exactly what you mean. I wish I paid more attention to these things when I was younger too. When I was still living on a paycheck, I would always spend the extra for shopping as I always think I deserved a reward for all my hard work. Sadly though, those things that I deemed worthy of my paycheck did not bring any "return". Purely gastos lang talaga haha. Oh well, I know better. Like Aya said, it's a common grievance we Filipinos have when asked. We all wish we've known better. Early in our marriage, we a good friend advised us that to never borrow money just to buy furniture, appliances and electronic devices. Her reasoning is that, if you can't pay for it in cash for the full amount, you can't afford it. And if you can't afford it, you have no reason to even think of buying it haha. Medyo harsh but really it made sense. 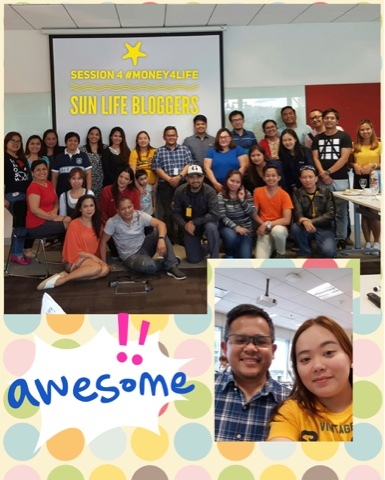 We went to a similar forum/seminar, also by Sunlife, and we can say that it was the best decision of our life. Shop until you drop and that midnight madness sale are so tempting. They are all one swipe away but when you wake up the next morning, you are standing in quick sand. Reminded me to submit na our mutual fund application, haha. Thank you. It's really hard to pay a credit card debt especially if it gets big na and the interest piles up. It's nice that SunLife has these workshops. I totally agree with what you said here: "debt is debt. It is money worked hard for by others that we need to pay back no matter how long it takes." I wish all debtors share the same mindset to avoid burning bridges. And oh how I wish all debts are just good debts! I'm allergic to debt and so does my husband. If we can't pay something in cash, we usually delay our purchases. Mahirap na. You'll never know what will happen. Having credit cards can really take its toll on anyone's financial status. I guess the best practice is to do away with them if you are not sure you can discipline yourself from huge discounts and sale. I have attended a financial workshop with Aya Rayala recently and he also shared a number of nuggets of wisdom about saving.